There are 42 posts tagged NGO statements (this is page 1 of 3). Attac Gabon and Grain recently put out a statement opposing REDD and carbon trading as a way of addressing climate change. The statement is posted here in full in English and French. 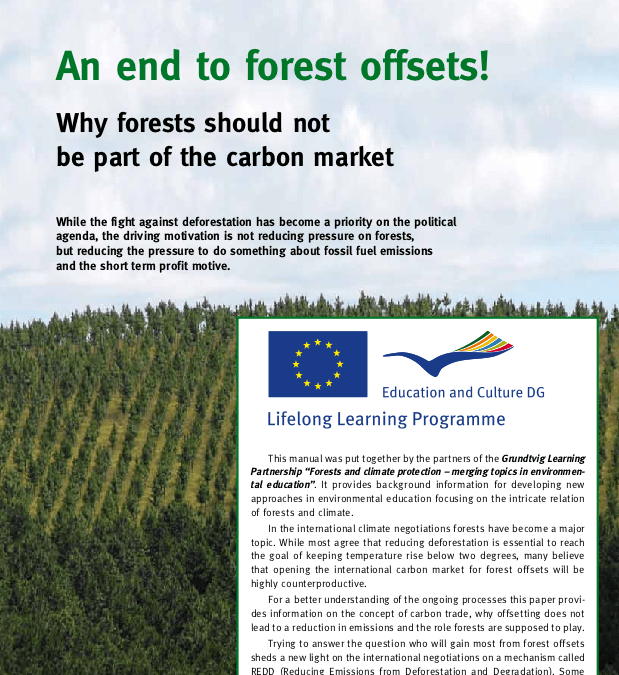 A new manual by six Europe-based NGOs calls for an end to forest offsets. The report argues that there are two motivations for forest offsets: “reducing the pressure to do something about fossil fuel emissions and the short term profit motive”.